Dr. Moss is a graduate from Texas A&M University with honors. He received his doctorate of Podiatric Medicine in 2001 from the Ohio College of Podiatric Medicine where he served as the student body President for his last three years of medical school. Dr. Moss completed his surgical training in Reconstructive Foot and Ankle Surgery at the Harris County Podiatric Surgical Residency and Fellowship Program and has been in private practice since 2003. He has been published in Clinics in Podiatric Medicine and Surgery and by the American College of Foot and Ankle Surgeons website. 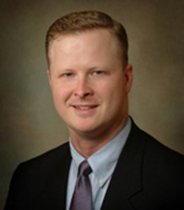 Dr. Moss is responsible for continuing medical education updates and seminars for the Harris County Podiatric Surgical Residency and its Fellowship in Reconstructive Ankle and Foot Surgery. He is a Fellow of the American College of Foot and Ankle Surgeons, active member of the American and Texas Podiatric Medical Associations, and is currently Board Certified by the American Board of Podiatric Surgery in both Foot Surgery and Reconstructive Foot and Ankle Surgery. Dr. Mark H. Moss is married to his wife, Lynette and is father to their triplets; Elise, Elle, and Elaina. In addition to his many professional responsibilities, Dr. Moss is an avid sportsman and outdoorsman.